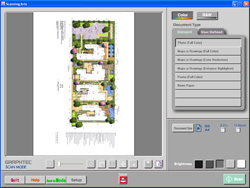 Scanning Master PRO Color software enables easy editing and management of image files. It has useful features for file management and file sharing such as image linking, auto de-skew, auto de-speckle, background color suppression, re-touching and deleting together with search function, thumbnail view and display tree of image files. 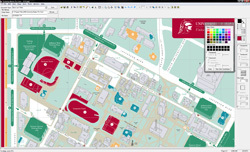 Scanning Arts 2 software can easily combine existing large-format printers and Graphtec scanners into a large format copy system. Featuring an intuitive and easy to use interface, you can quickly scan, print and copy documents with configurable settings such as document type, size and color and monochrome. 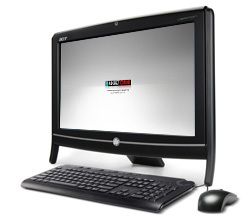 All-in-one system featuring 2.6Ghz processor, 4GB of RAM, 320 GB hard drive. Integrated 10/100/1000 Gigabit Ethernet, Full Size Keyboard & Mouse, Integrated 19" Wide-screen Flat Panel Display, Windows 7, 1 - year warranty& support.